Platex Records proudly presents Saro Paradiso’s first cybersingle. Saro quit drinking and started writing and recording his own material. The result, “Come In”, is a dark and sinister song with an irresistable hook. Saro’s duet with Inge Huizenga* brings back memories of other great duo’s like Marvin & Tammi, Nancy Sinatra & Lee Hazlewood, Menno & Marjan and Saskia & Serge. 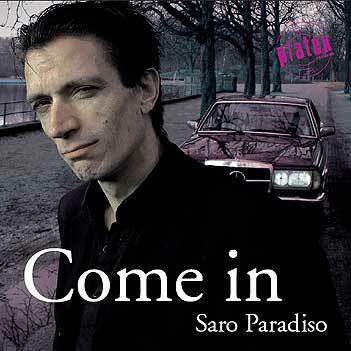 ‘Come In” is dedicated to the memory of Saro Paradiso sr.
words & music written and performed by Saro Paradiso jr.
*Inge Huizenga now sings and plays guitar in Garcia Garcia.